• Maintains healthy levels of galectin-3. Good health starts in our cells. The foundational building blocks of all our tissues and organs, our cells turn food into energy and keep our internal systems in check. Poor cell health impacts proper functioning of our tissues and organs and leaves us vulnerable to environmental toxins and disease. 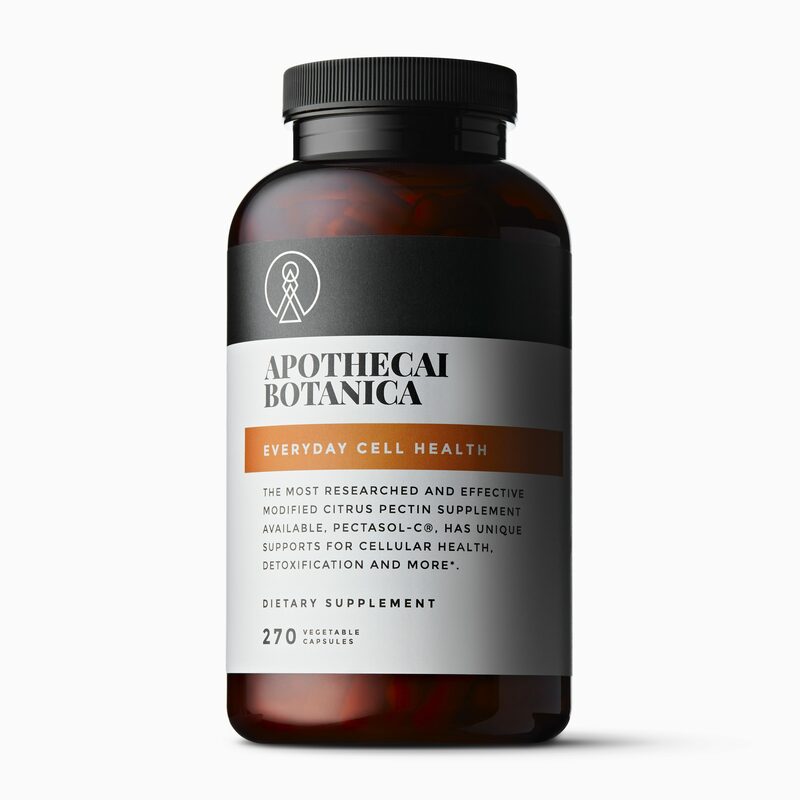 EVERYDAY CELL HEALTH uses a single, targeted ingredient to help keep cells operating effectively and efficiently, paving the way for more energy, a stronger immune response, and a decrease in the signs of aging. Modified Citrus Pectin – an ingredient to know about! Pectin is a naturally occurring carbohydrate found in fruits, vegetables, and seeds. Used to support digestive health, it’s been found effective in treating constipation, lowering cholesterol, supporting healthy weight loss, and fighting diabetes. In this form, pectin benefits the GI tract alone; its valuable molecules are too large to enter the bloodstream and benefit our overall system. PectaSol-C® Modified Citrus Pectin, made from the purified pith of citrus fruit peels, solves this problem. An advanced enzymatic process reduces the size and structure of the pectin molecules, allowing them to be absorbed into the bloodstream to deliver total-body benefits. * Harnessing the power of pectin in this way has been shown to have enormous benefits on cell and heart health. Galectin-3 is a protein that occurs in small amounts in our bodies. However, in the last decade, scientists and researchers have shown the elevated levels of galectin-3 can be detrimental to our cellular and cardiovascular health. Modified Citrus Pectin has been widely researched and tested. It has been shown to be a powerful galectin-3 blocker, but not all MCP supplements are the same. Simply put, several MCP varieties contain pectin molecules that are too large to be easily absorbed and used by the body. Suggested Use: As a dietary supplement, for maximum support, take 6 capsules three times daily on an empty stomach, or as recommended by your healthcare practitioner. For long-term maintenance, take 6 capsules once daily on an empty stomach, or as recommended by your healthcare practitioner.